Today didn’t go to plan. I went to work thinking I would be caring for patients but instead I was the one lying down getting my obs taken after seeing stars and nearly hitting the deck halfway during a procedure. They hadn’t even got to the gory part yet! Turns out I had a fever and was coming down with something – no fun. I have to be practically dead to loose my appetite completely so I wanted something that was going to be good for my body for dinner and that required minimal energy cook. Grocery shopping was out of the question so I adapted Stephen’s Healthy Lentil Bowl by (NeverHome)Maker to what I had in the cupboards. 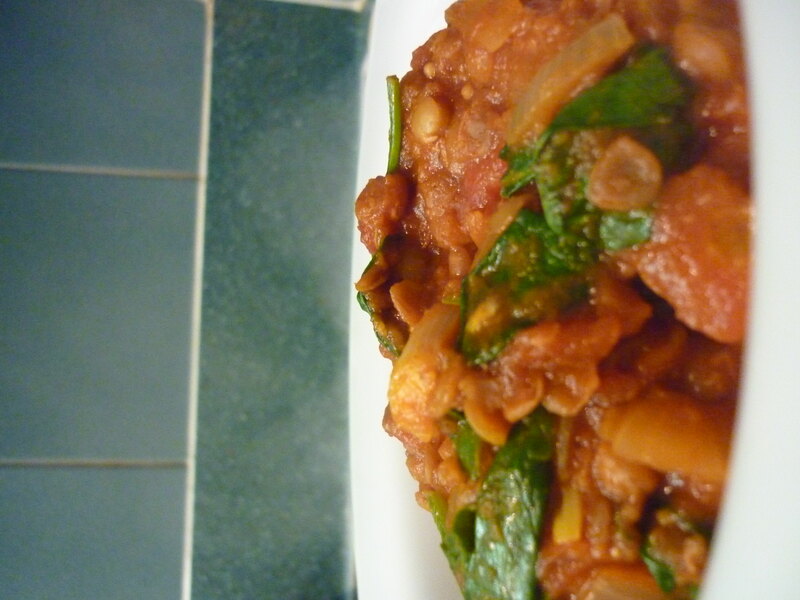 The result was a simple and satisfying one-dish dinner in half an hour. The list of spices is long but the taste was more subtle than overbearing, perfect for an unhappy tummy. 1. Simmer lentils in water until softened (~8minutes). They will still be in quite a bit of liquid. 2. 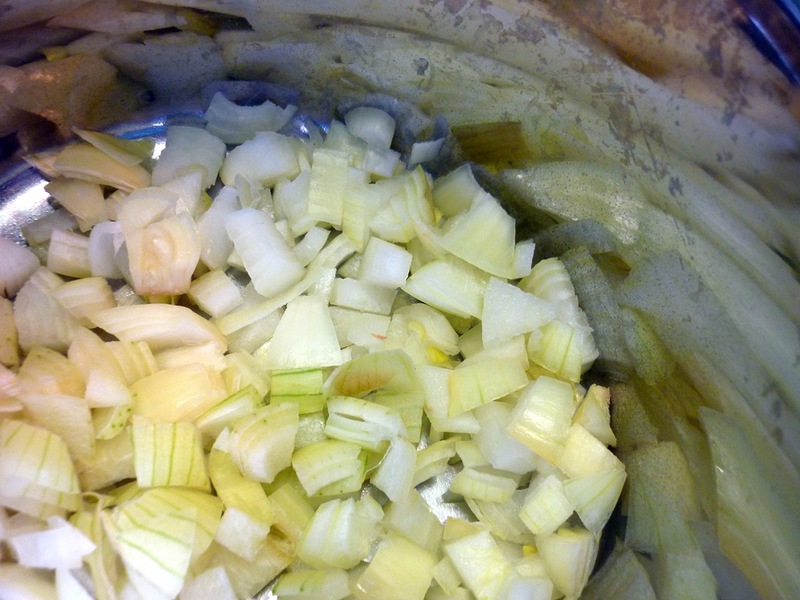 Sauté onions in canola oil until translucent. 3. Add spices to onions and sauté a further minute. 4. 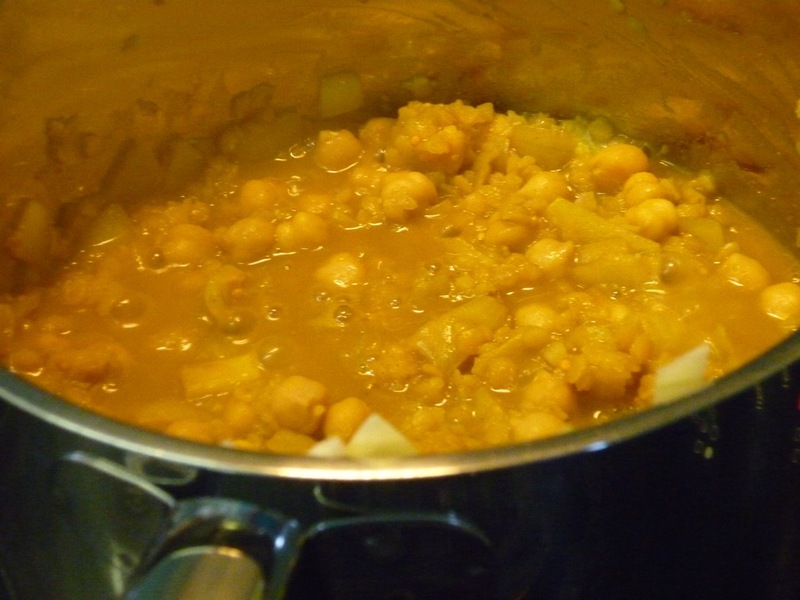 Add lentils and chickpeas and simmer for 10 minutes, stirring frequently so the mixture does not stick to the pan. 5. Add spinach and milk. 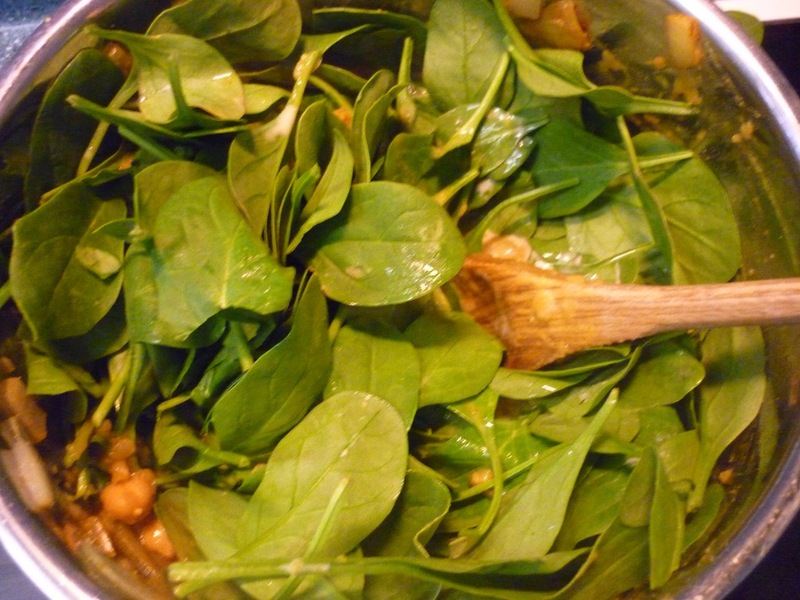 Cook, stirring often, until spinach is wilted and heated through. 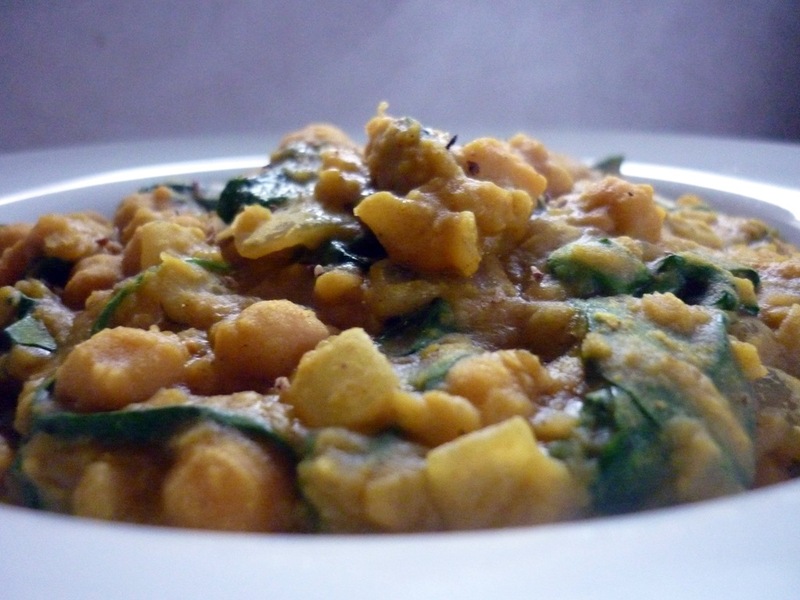 The lentils will partially dissolve, making the mixture thick and creamy. 6. Season with salt and pepper to taste. Serve with bread to dunk. 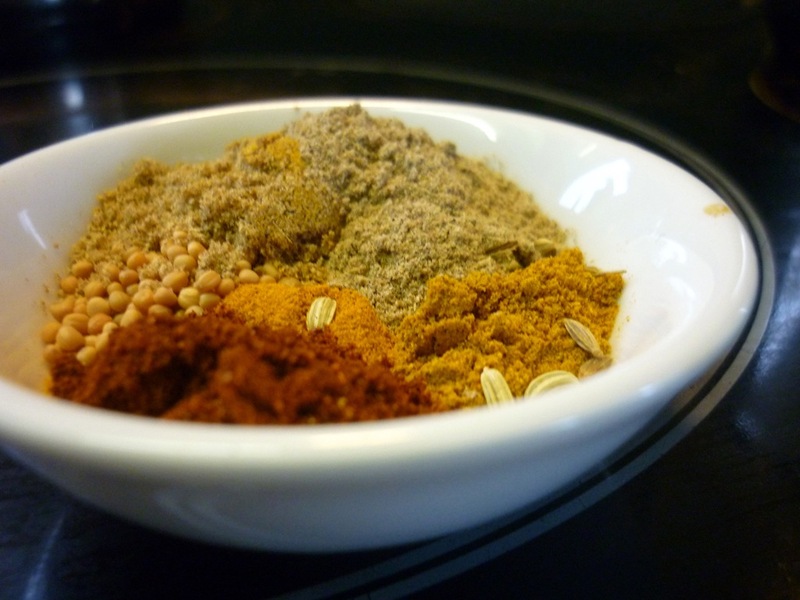 Don’t be put off by the long list of spices for this recipe. Although there are lots are ingredients, it is still a quick and easy dinner to throw together on a weeknight. 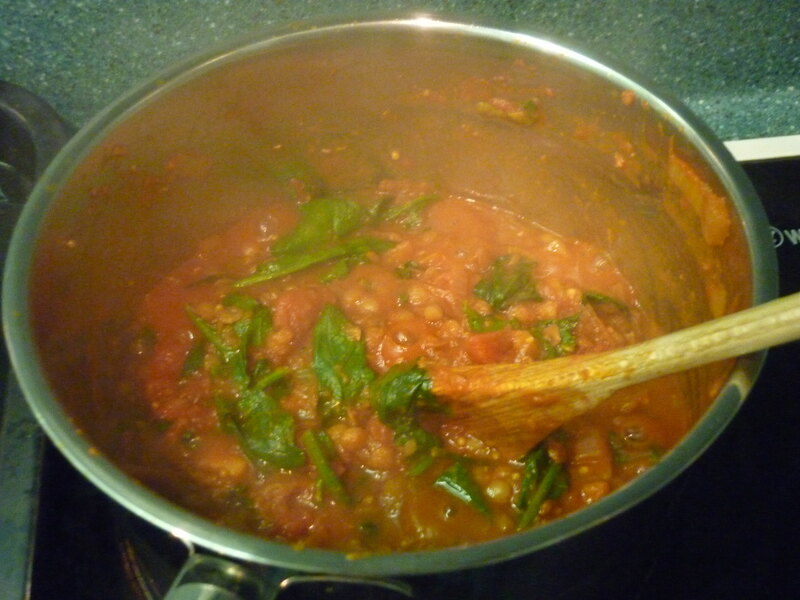 I use the half hour the recipe takes to simmer to tidy the kitchen, make my lunch or prepare some dessert. 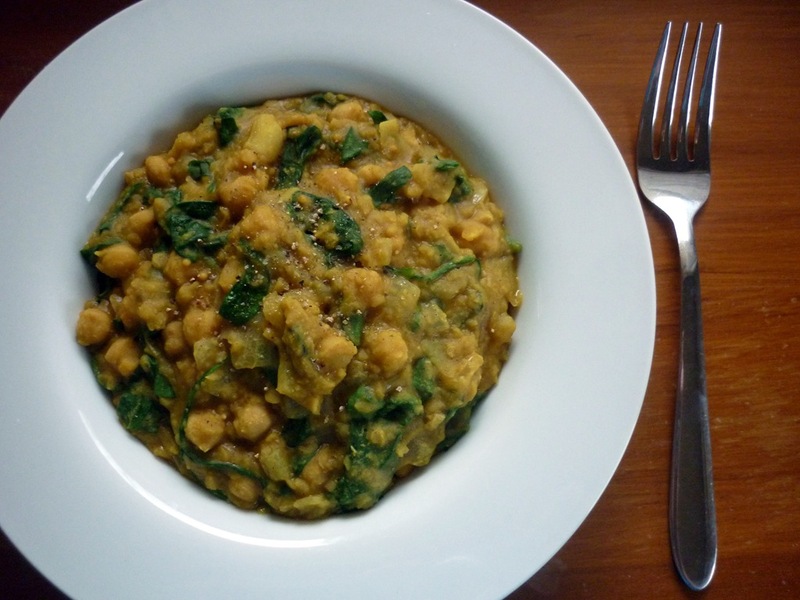 I used canned lentils because that is what I had in my cupboard but you could most definitely use dried lentils and it wouldn’t take much, if any, longer to prepare. 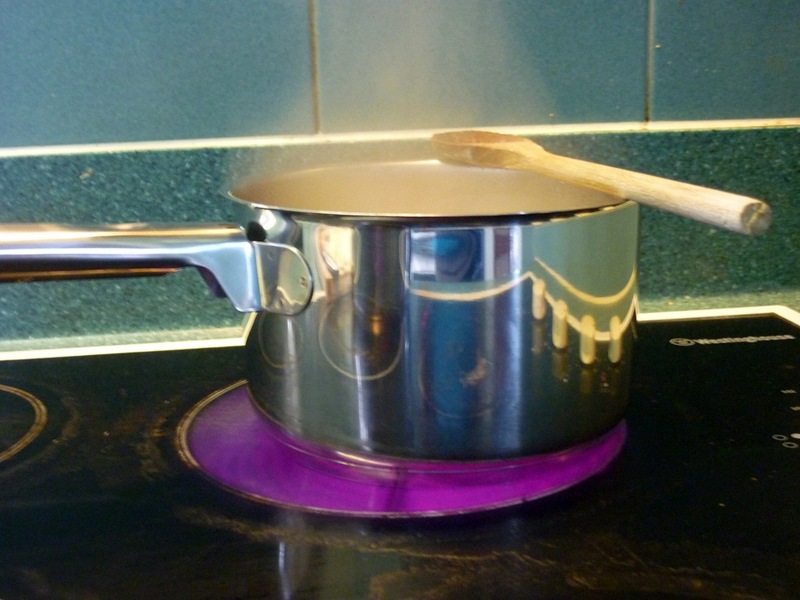 You would just need to increase the amount of stock so the lentils have enough moisture to absorb. I just had this plain but plain yogurt and some coriander leaves on top would have just made it. The flavour is quite ‘tomato-ey’ and has a just a little heat. It’s definitely not authentic Indian by any stretch of the imagination but still yummy.